When searching for a professional concrete contractor for your next project, go with a proven company that truly cares about the quality and durability of your concrete. With more than 35 years of experience, Best Transit Mix in Soldotna, AK, is dedicated to providing industry-leading products and supplies for commercial and residential clients. 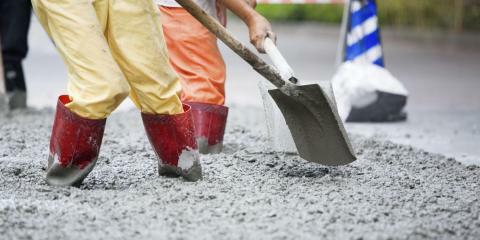 The locally owned and operated concrete contractor offers a wide range of services and products including ready-mix concrete, concrete supplies, and sand and gravel delivery. Best Transit Mix is prepared to tackle your concrete needs with their well-maintained fleet of 10 mixer trucks. Their company utilizes a fully automated CON-E-CO batch plant that is capable of producing concrete for large-scale building projects. No matter what the size of your project, they understand that staying on time is crucial to meeting your budget, so they work tirelessly to provide prompt deliveries. Select from a variety of decorative concrete products that range from acid stains and countertop mixes. Feel free to ask about their affordable aggregates such as low-cost washed sand, drain rock, and gravel. Don’t forget to check out their sound-insulated concrete forms for your foundations, basements, and multi-story building. This local concrete contractor is committed to researching new materials and techniques to better serve you. Whether you’re looking to build a new home or tackle a landscape design, Best Transit Mix has the concrete supplies you deserve. Call them today at (907) 262-6273 to schedule your free estimate, or visit them online or on Facebook for more information.